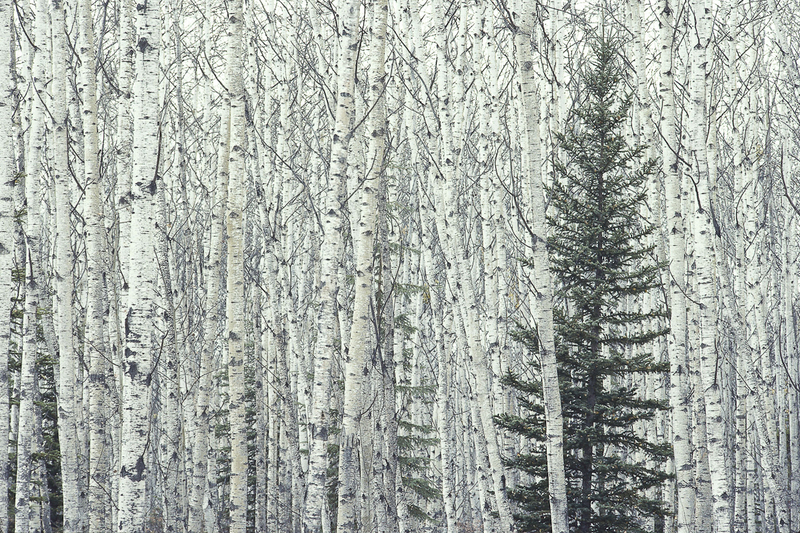 Forests: Aspen and Spruce. Northern Alberta 2001. Aspen and Spruce. Northern Alberta 2001. The boreal forest of northern Canada is perhaps the best and largest example of a largely intact forest ecosystem. Canada's boreal forest alone stores an amount of carbon equal to ten times the total annual global emissions from all fossil fuel consumption. Exhibition print: 40"x60" archival pigment print on Hahnemuhle bamboo, bonded to aluminum.